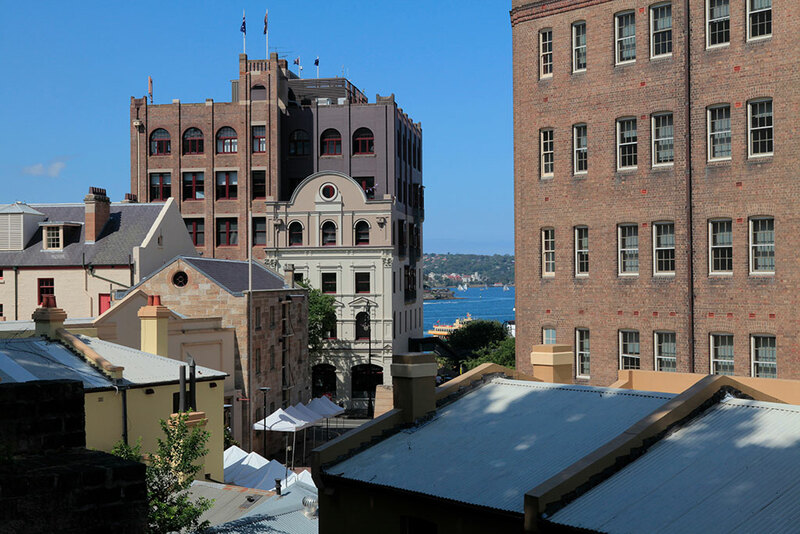 Stroll through Sydney’s oldest neighbourhood, home to historical sites, restored colonial architecture and Sydney’s oldest pubs. 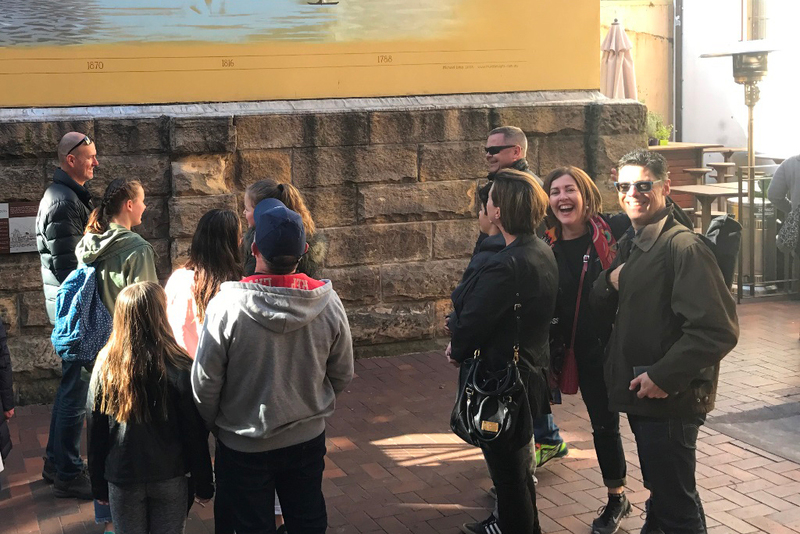 Visit the place where the First Fleet came ashore and learn about these tough men and women who forged new lives through the adversity and starvation that the new colony was facing. 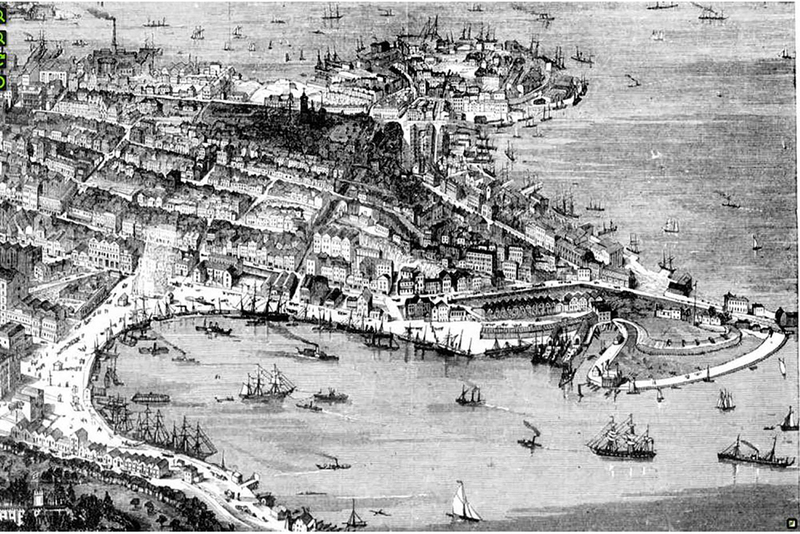 Hear about former convicts who became great men, and by contrast the cruel and corrupt methods of the military corps, whose greed and selfish ways infiltrated the administration of the early Governors until the colony was rife with drunkenness, gambling and crime. 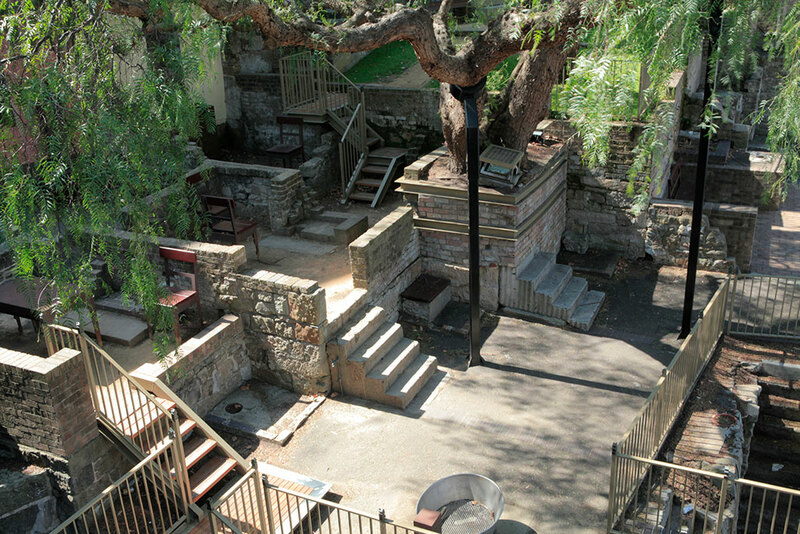 Learn about the first Australians – the Cadigal people who lived in this area for over 20,000 years prior to European settlement. Challenge your thoughts on the significance of Australia Day and whether you think it should be a celebrated National Holiday. 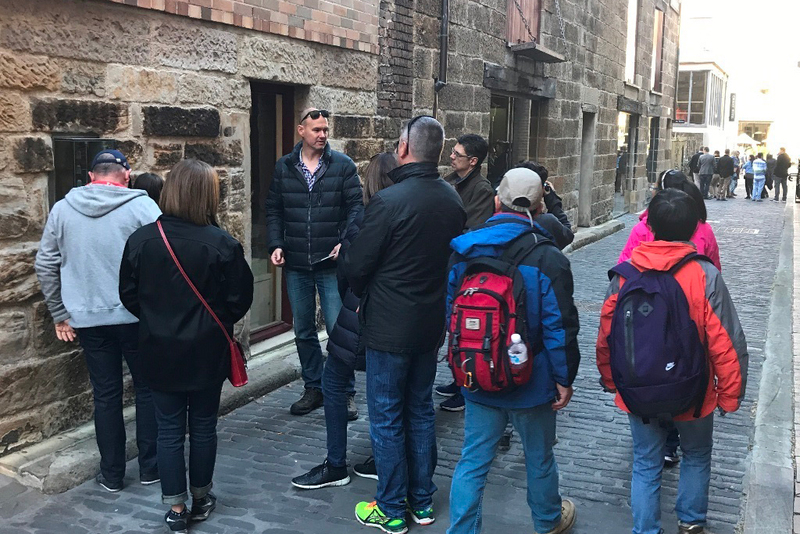 This tour is about the people and places of old Sydney, those who struggled through adversity and paved the way for the diverse and culturally rich city we live in today. 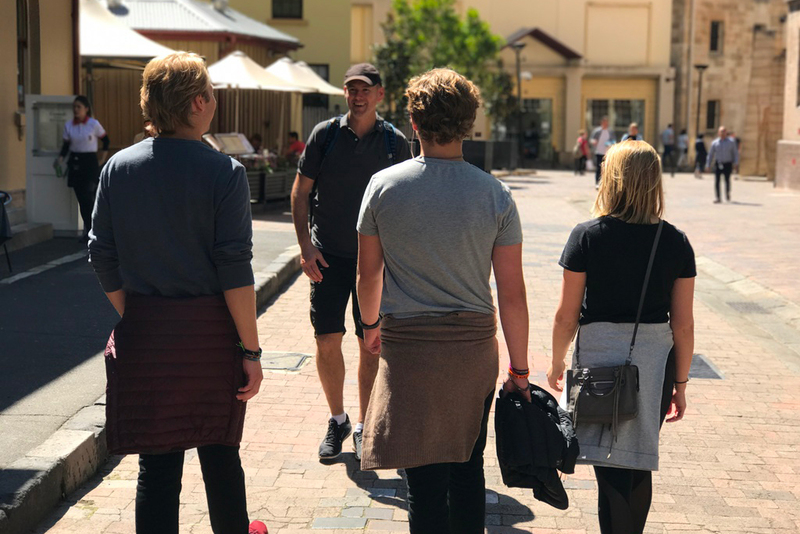 Starting at Circular Quay, we will walk and talk our way through the streets and alleys of The Rocks, and will also stop for a break when it’s convenient. 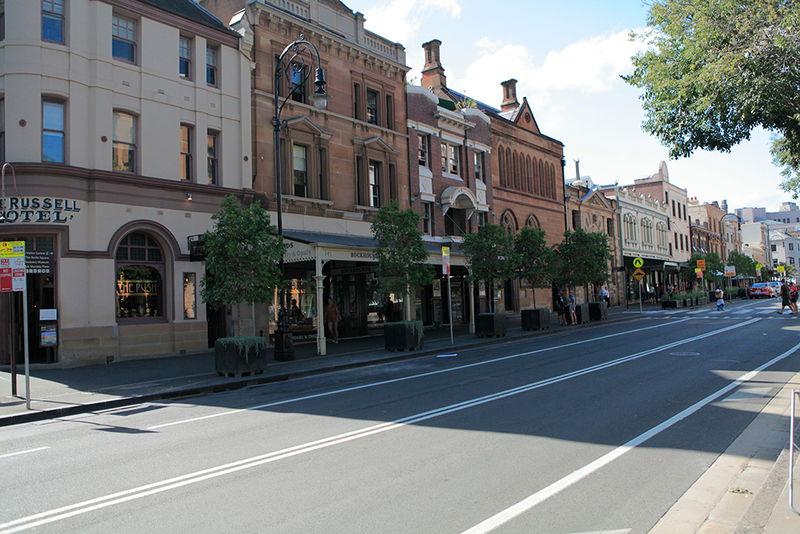 There are plenty of coffee shops and pubs along the way, depending on your preference! 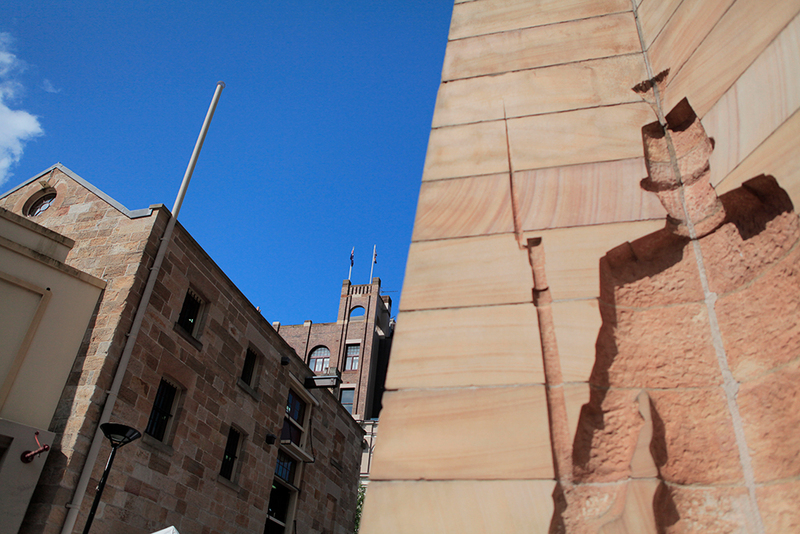 We will finish up back on the harbour next to Circular Quay where you can catch a ferry or train. There are also many places we can recommend to stop for a drink or for dining your afternoon away if you would like to stay on in the area. Finish: Finish point is at Cadmans Cottage, just behind the Overseas Passenger Terminal – where the cruise ships dock. Finish point is at Cadmans Cottage, just behind the Overseas Passenger Terminal – where the cruise ships dock.